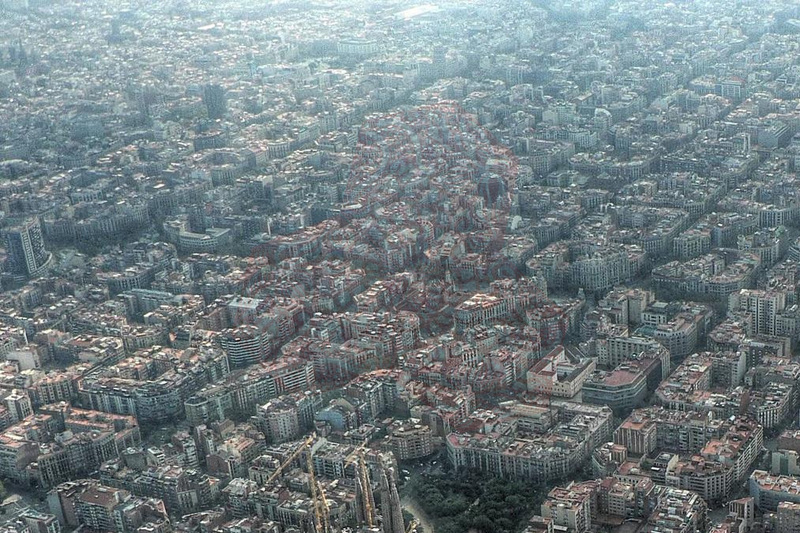 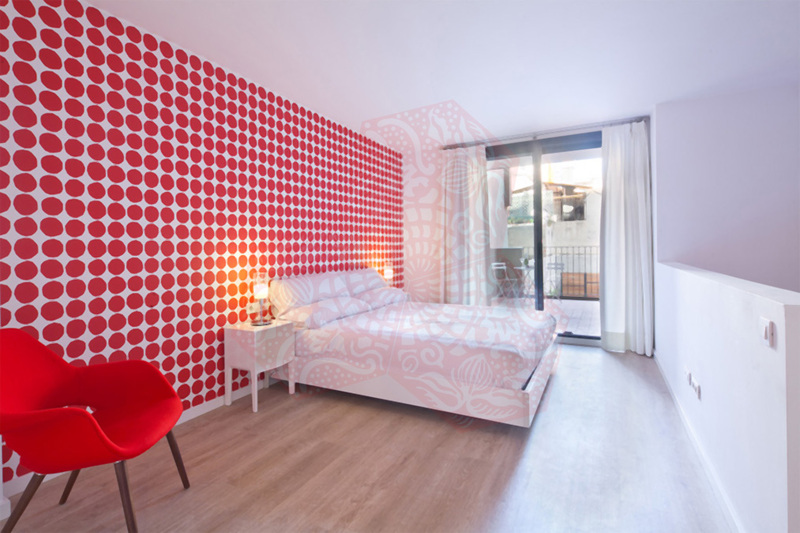 Use the form below to contact accommodation BCN HB 3P GIRONA ARAGO directly. 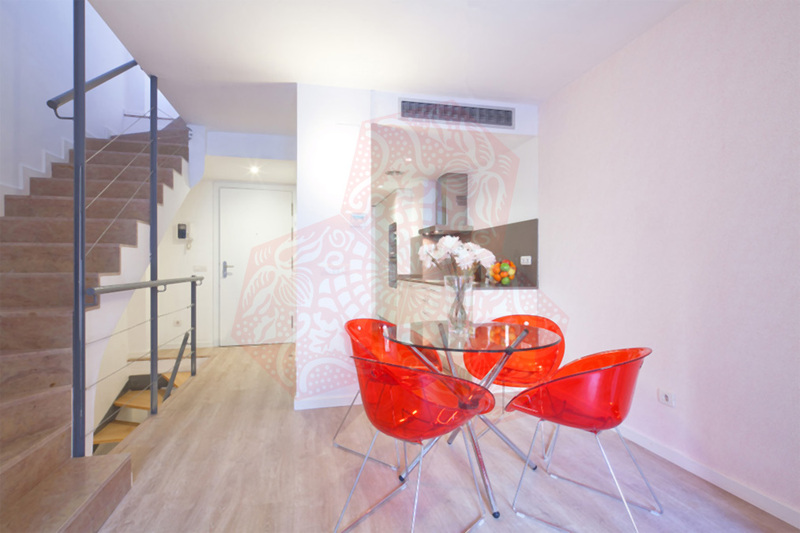 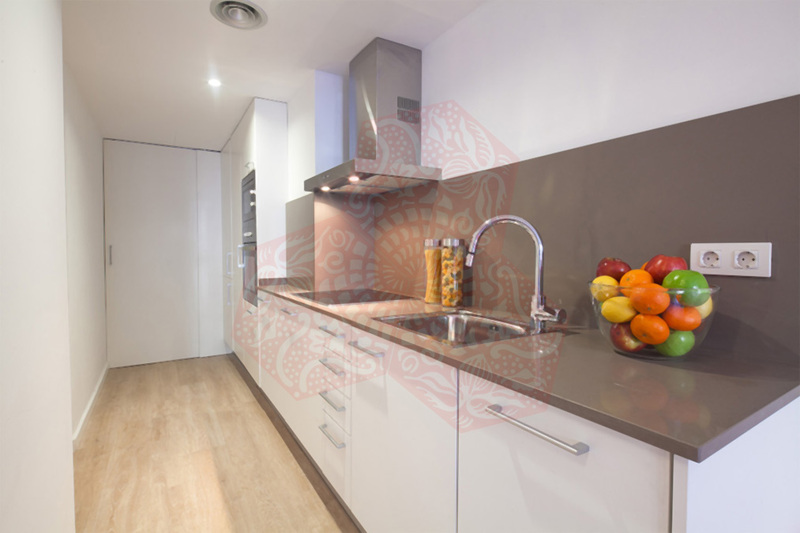 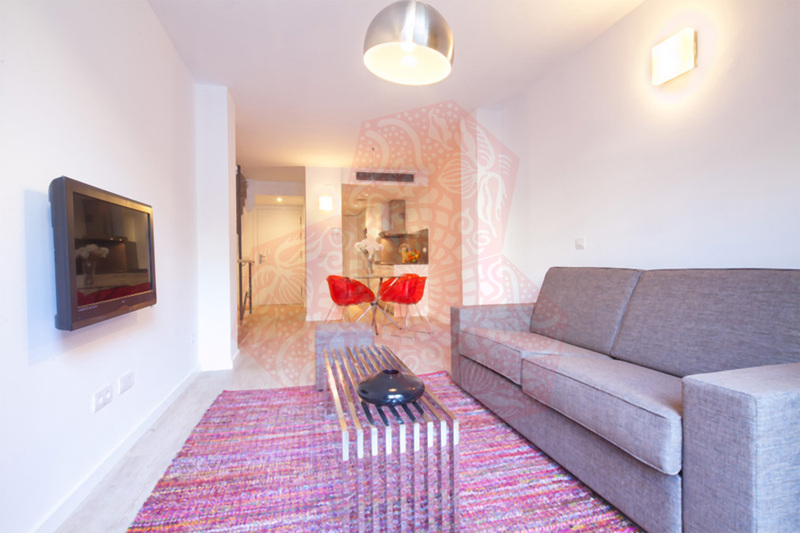 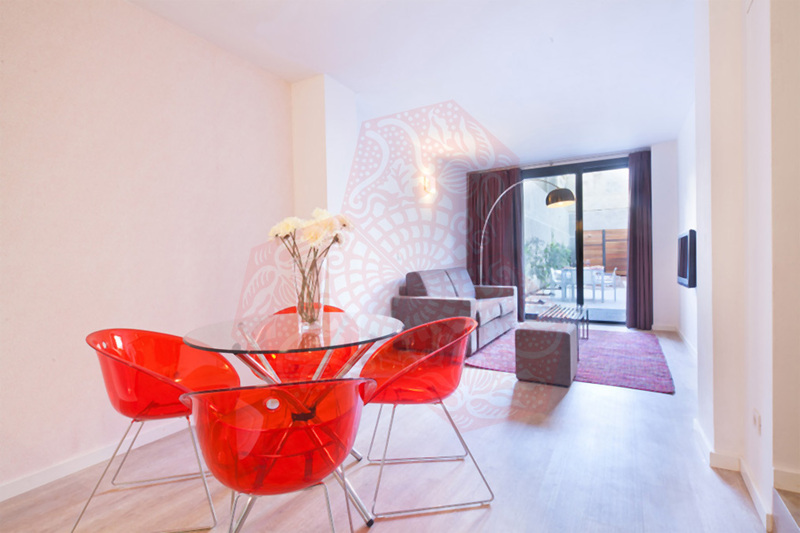 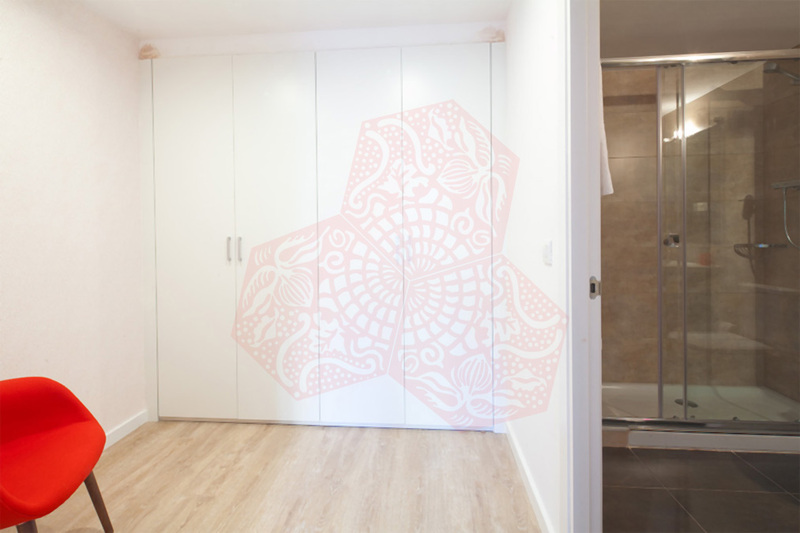 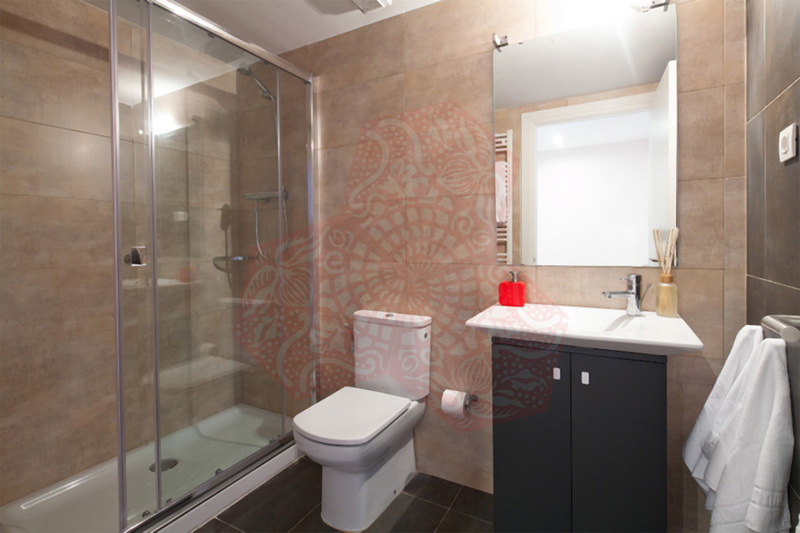 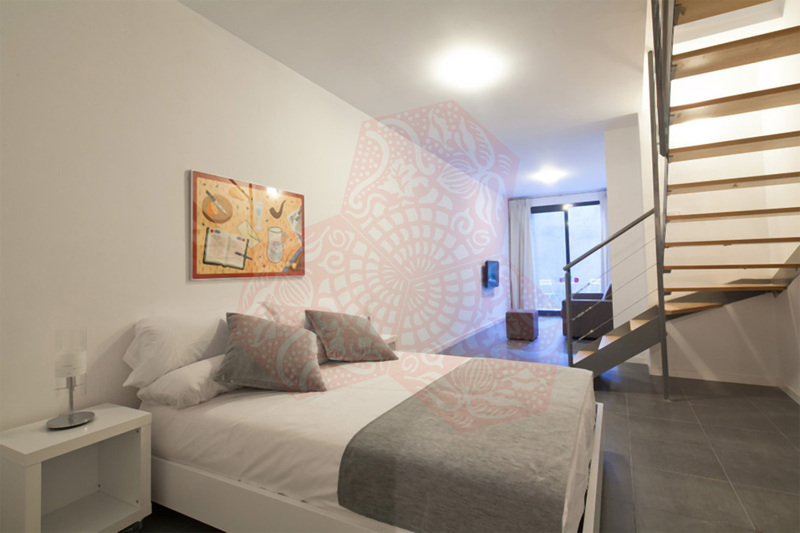 A beautiful 2 bedroom, 2 bathroom Barcelona duplex apartment decorated in bright, modern and cheerful colours. 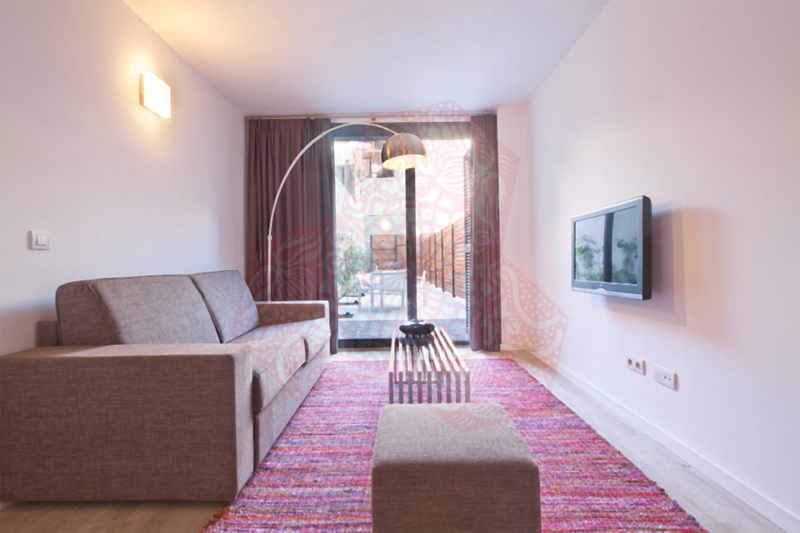 Featuring 3 floors with two large bedrooms, each equipped with a double bed, there are also two complete bathrooms with shower facilities and a living room with two large sofa beds. 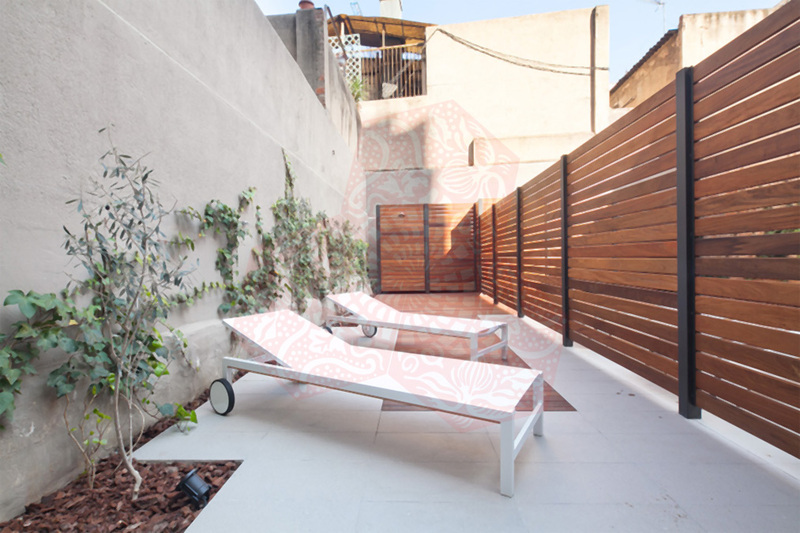 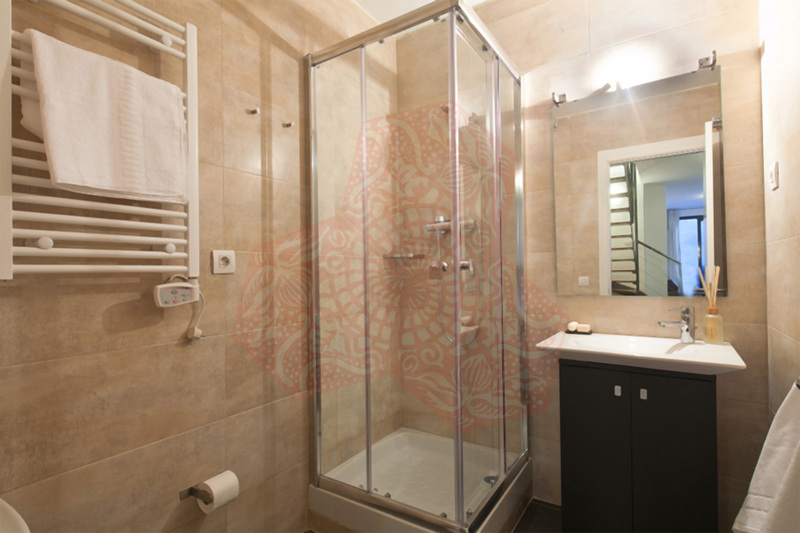 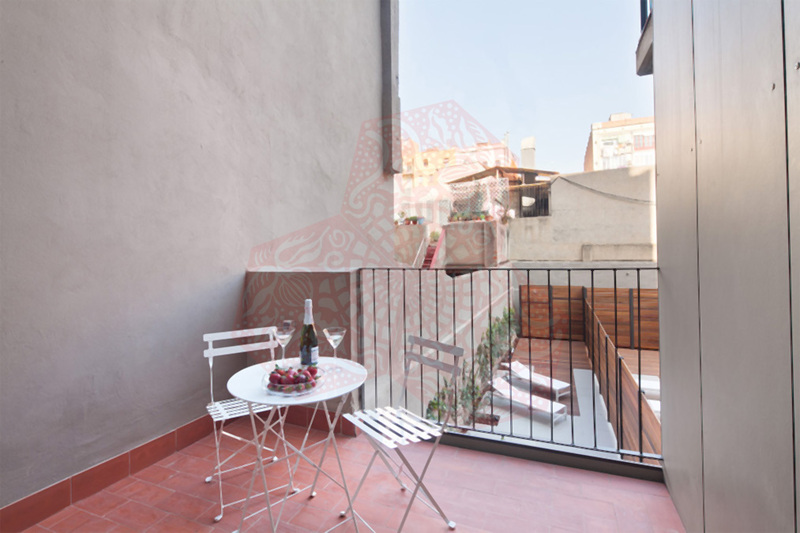 BCN HB 3P GIRONA ARAGO offers a beautiful furnished terrace and a smaller terrace with outdoor shower. 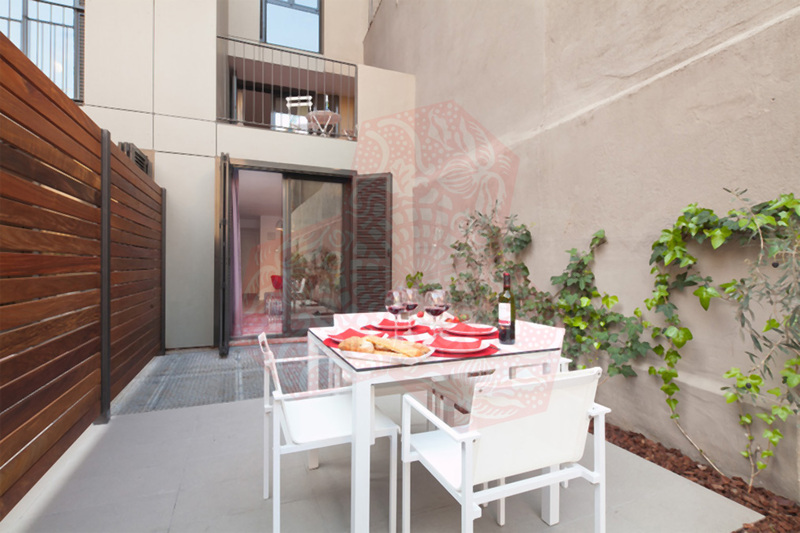 There is a 4-seater dining room and a fully equipped Kitchen with fridge/freezer, toaster, coffee machine, microwave and oven. 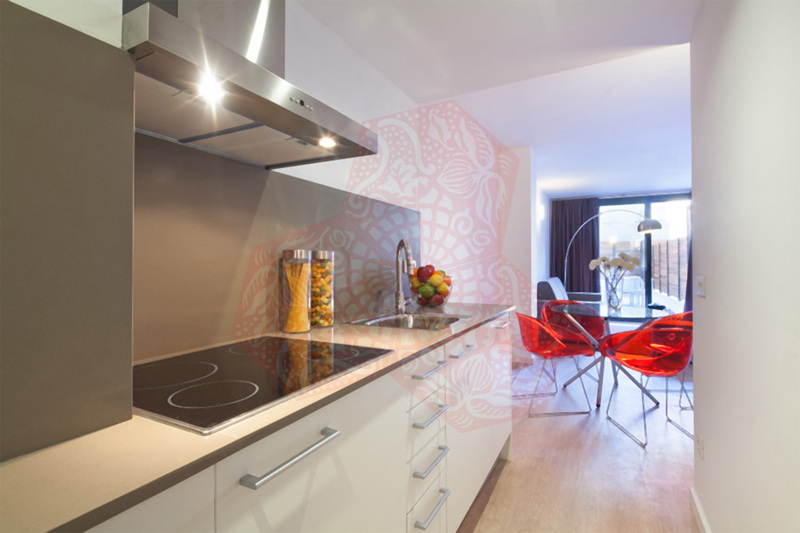 Accommodation up to 8 people this apartment is ideal for a large family or for a group of friends or colleagues.